“The autologous fat transplantation is exciting in many ways because it improves the growth of hair that’s already there and thickens hair that’s so fine it’s almost invisible”. In the beginning it nearly appeared that they’re trying to announce a cure. When they say “hair that’s already there”, I think they’re referring to hair that’s already visible, but fine. When they say “hair that’s so fine it’s almost invisible”, that describes most hair on bald people heads, in the bald areas. Follicles on bald people’s heads don’t disappear completely. The follicles just become so tiny that they’re unable to produce hairs that are visible to the unaided eye. I thought they are doing this already in the US, it was discussed here before, the new company was backed by one of the big names in hair research, possibly Dr. Cotsarelis or Dr. Washenik . Dr. Cotsarelis and his team at the University of Pennsylvania, working with the University of California Irvine, demonstrated that scar tissue can be prevented by inducing skin with hair to grow in the tissue first. The hair then pulls in fat cells, which stop the growth of scar tissue. I think this is related, but actually much different, from just injecting fat cells into the scalp to promote hair growth. What Dr. Cotsarelis is doing in that study is basic research, and the aim is to prevent scar tissue. Sure, it’s connected to hair, but it’s not something that can be immediately used to grow hair on people. I think what Dr. Cotsarelis is implying here is, “give us more money to continue this research, we can help burn patients and others who are affected by scars”… the added benefit would be, if the research pans out, that you could grow new hair for people with hair loss. But I don’t think they’re at that point yet. Roger, I think he’s talking about Kerastem. The photos shown from the study those doctors are doing in London are pretty impressive. Pretty funny if a hair loss treatment using the body’s own fat cells, that works better than Propexia and Minoxidil, which both took tens of millions of dollars to develop, has been sitting under researchers’ noses all this time. This is not a cure but could be a very good preventative treatment. A few years ago Yale University told the world about the importance of fat cells to hair growth/hair loss. This experiment does not surprise me at all. The good pics are what I would expect but actually the one before/after set that showed the guy’s crown didn’t show a lot of improvement. .
@jarjarbinx You were right about this. Wonder what Dr. Kemp thinks about fat injections? Also, I wonder if injecting abdominal fat plus cultured Treg cells would work even better. It seems that having the ADSCs is good, but the stem cells may require Treg cells to ensure they’re all activated. Fat cell + treg cells injections would be nice but it would also be nice to add epithelial or DP cells in the syringe. Also gene editing (CRISPR) is making a huge leap forward this year. Human studies have started. The USA will allow a few studies this year as well. I think that Dr. Kemp should be taking gene editing more seriously for hair loss. I think he expressed that he wasn’t interested but if he doesn’t start looking at it then someone else will beat him to it. It’s going to happen. All those types of cells would help, IMO. Each type of cell plays a different role. Also they each interact with the follicle in a different way and at a different place. If you’re rejuvenating existing miniaturized follicles, DP cells and epithelial cells would have to integrate with the existing follicle. 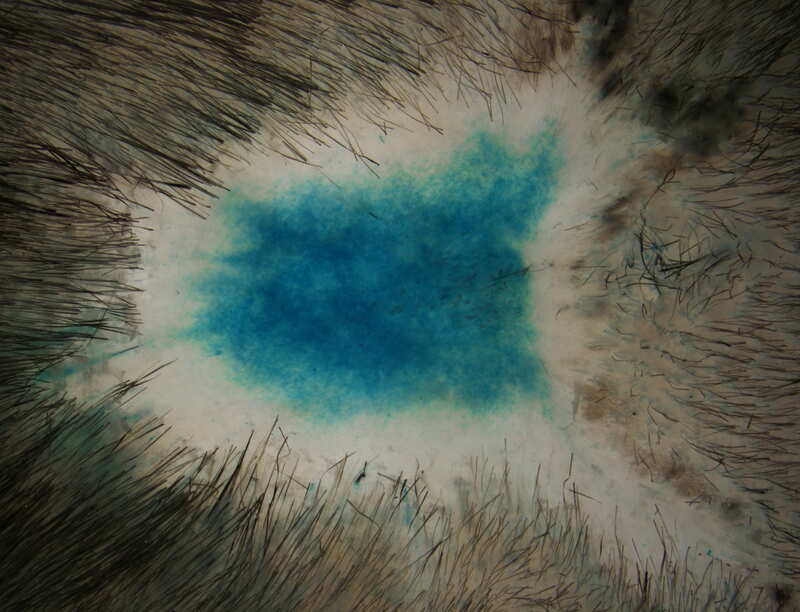 Stem cells only have to get close to the follicle so they can influence it through signaling. And Treg cells only have to get in the area of the follicle, to activate stem cells with their signals. In my view, for any given syringe full of cells, the least likely of the above to happen would be DP cells incorporating themselves into the follicle. That’s because they have to get so close, precisely in the right spot, and then get taken up by the follicle. What are the chances of that happening? The way I see it, not very high - therefore the efficacy of DP cells per injection would be on the low end. Whereas for the Treg cells, all they have to do is arrive in the general vicinity of the follicle, close enough to activate the stem cells. They never become part of the follicle. Since they don’t have to do so much “swimming around” after being injected, I would think the efficacy of Treg cells per injection might be high. The efficacy of stem cells (from fat injections) might be somewhere in between. That’s not to say that only one type of cells should be used. As you said, a combination of all these cell types would probably work best. I’ve seen enough pure adipose derived stem cell results to know that ADSC alone is not going to get the job done. First, most harvest the adipose deeply rather than peri-follicularly. Peri-follicular adipocytes are closer to the skin. Second, we need some form of activation. Adipocytes are great at mesodermal stem cell promotion, but follicles are both mesodermal and ectodermal. In May, we harvested peri-follicular adipocytes, activated them, and injected them. We also targeted peri-follicular adipose from the scalp and beard areas for injection. In the same patients we also injected activated PRP and follicle stem cells. All patients are reporting a positive response, but the study consists of only two patients thus far. There were no reported side effects. Peri-follicular adipocytes are better suited pluripotent stem cells than deeper ADSC. I am still waiting to see the objective findings. Thus far, ADSC injections alone have been disappointing with regard to response based on reports. I like the report from England. It’s interesting, but the primary question is how they determined density and diameter. Yes, Kerastem! I didn’t know they have to go through trials, I thought they were selling this procedure already because it was fat taken out of the patient’s own body and put back in the same patient’s body and therefore no trial necessary. Kerastem’s procedure involves using fat derived regenerative cells with purified fat tissue as opposed to just using non-manipulated fat alone. It’s available in other (non-US) countries and in the midst of FDA trials for the US. The Ball study seems to be a similar treatment and led to a 24% increase in hair thickness in the injected regions. That’s a pretty big deal (especially for those just starting to lose their hair). But is it worth the $8,000 per treatment Kerastem currently charges? For most people, this probably depends on how long the effects of a single treatment last before wearing off. Personally, I can’t afford an 8K treatment that’s only a temporary and partial solution (if that’s what it turns out to be). Perhaps rich people can get ongoing treatments until something better comes along. Kerastem, the leader in cell-based approaches to hair growth, announced today that clinical data utilizing the Kerastem therapy for the treatment of female and male patterned baldness (genetic alopecia) was published in the peer reviewed Journal of Stem Cells and Cloning (Stem Cells and Cloning: Advances and Applications 2017, 10:1-10–https://doi.org/10.2147/SCCAA.S131431). The authors reported that all six (100%) subjects receiving Kerastem Therapy had an increase from baseline hair counts at 6 months, with initial results as early as 6 weeks. The investigators performed a single scalp injection of Kerastem Cell Therapy in 9 healthy hair loss patients, and a total of 6 patients were followed for a period of 6 months. The Kerastem therapy is based on the emerging science that adipose (fat) plays an important role in the normal hair growth cycle. The clinical approach utilizes purified adipose combined with stem and regenerative cells to deliver cell enriched tissue to the affected scalp. According to Dr. Eric Daniels, Chief Medical Officer of Kerastem, “Fat and fat derived cells are now appreciated as a dynamic, and vital participant in the normal cycle of hair growth. This data set from the United Kingdom further supports this position and we look forward to releasing top-line 24-week data from our fully enrolled STYLE trial later this year.” Outside of the United States, the company is actively involved in market development, with Kerastem therapy currently being offered at a number of clinics in Europe & Japan. To learn more about Kerastem or the STYLE Clinical Trial, please visit http://www.kerastem.com. As Dr. Cole (maybe?) alluded to, fat injections by themselves leave a lot to be desired. However, fat + stromal vascular fraction led to some very interesting results. The Kerastem article I provided a link for indicates that Kerastem completed dosing for all patients on September 23, 2016. The patients are to be monitored for 12 months. Those 12 months are obviously almost completed. This is a phase 2 study. If the 21st Century Cures Act has finally become law some treatments will only have to complete 2 studies and if that is the case for Kerastem then it could come to market sometime in 2018, if it’s safe and effective. Density does not matter though it does matter how you measure it. If density alone increases and hair volume based on cross sectional trichometry as objective measurement does not increase, the treatment is worthless. Personally, I would not trust any data coming from the investigators in this study, but that’s my experience. I’ve seen their reports mix up things as simple as the left and the right side of the scalp. Adipose is a possible addition to hair loss. However, hairs are mesodermal and ectodermal in origin. Adipose develops as far away as possible from the mesoderm that gives rise to the skin. I believe that the future with adipose lies in harvesting perifollicular adipose and injecting this at the proper depth, following the appropriate method of preparation and activation. If kerastem measured hair density based on photography, I can assure you the data is not accurate. There is a proper way to measure density and an improper way to measure density. Then there is the proper depth to administer any stem cell activator. I think these guys may be going too deep to get results. Phase one is safety. Phase two begins to focus on efficacy. I doubt their patient population is broad enough to get the attention of the FDA, though I suspect their target audience is investors with cash to burn. The bottom line is that if you want excellent results, you choose a great research team to get the best data. If you chose the worst evaluators, you would get spurious data so you can’t bank on it. Kerastem did not choose the best investigators. They chose the rubber stampers. Investors will lose money on this project and kerastem will disappear. The principal owners will be the only winners along with perhaps the investigators. I don’t know their deal.